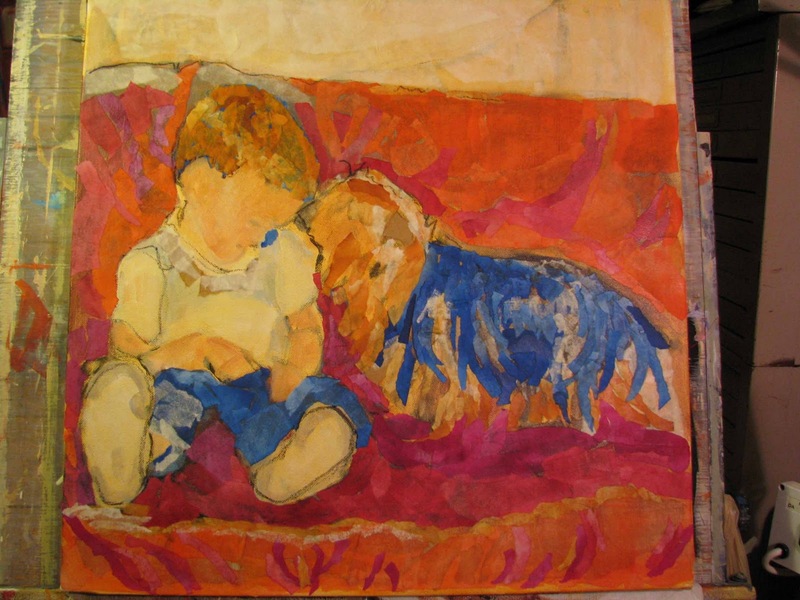 Holly Hunter Berry's Daily Dog Art: I Am Having Too Much Fun! I posted info about this painting the other day and since then I have been working on it using paper, to paint it. Yep, it is also called collage. Or, perhaps a "Glorious Mess"! A way to apply paint/paper in an impressionistic fashion, and have great texture. I have worked with mixed media and collage before but now I will be trying a variation of what I had previously done. I am sharing the journey and will be posting as it progresses. Now at the end of today, here is what I have done so far. I would caution against an opinion yet as it is in the "block - in" stage. I will say I ran out of certain colors, sooo off to paint some more! 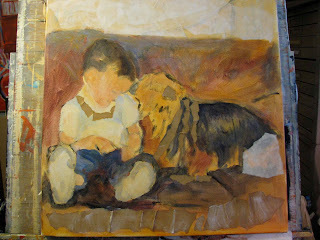 It is hard to see in this photo all the little pieces of torn paper I adhered to the canvas. Next post I will include a close up so I can share what the texture looks like. 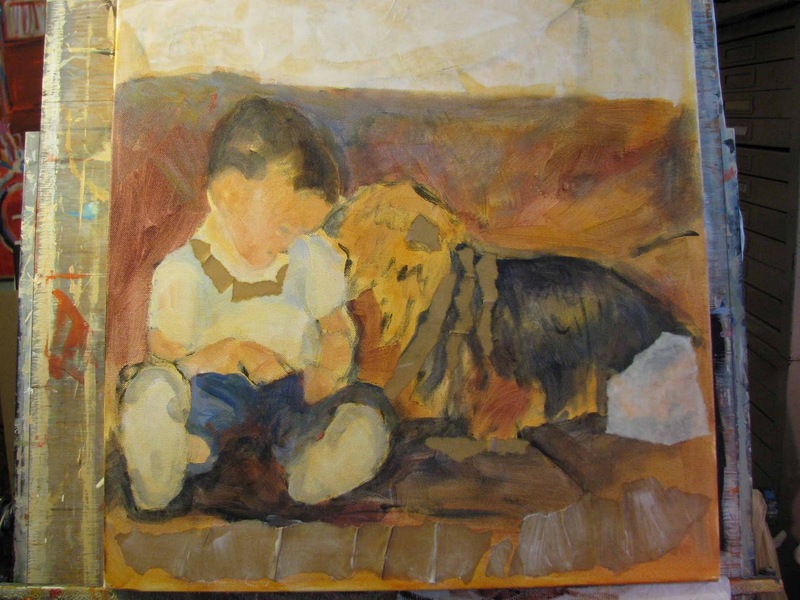 I will be adding many more layers of other colors plus more charcoal, paint etc. Thank you for visiting, stay tuned for more "tails"! Back Away From the Easel! Can You Turn off the Flash, Please!